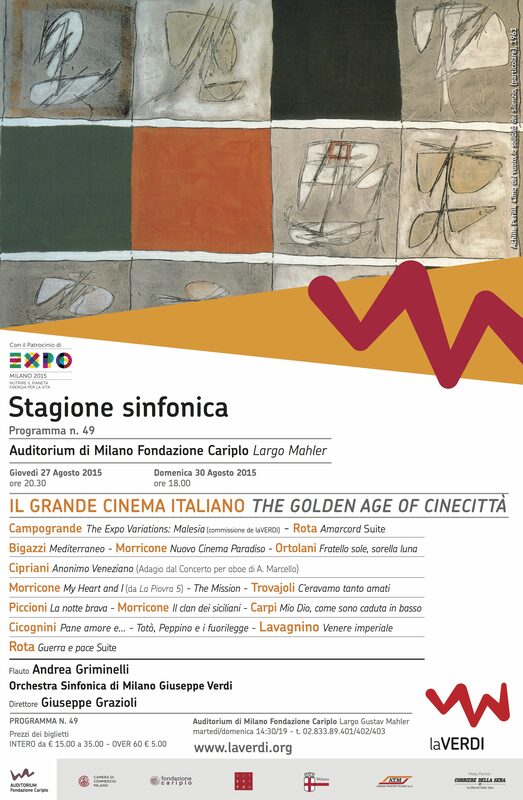 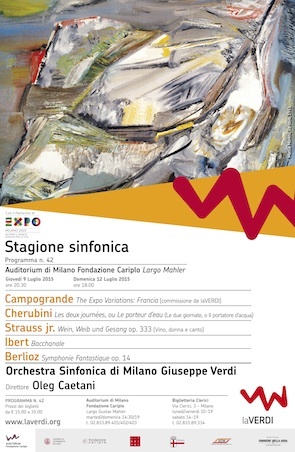 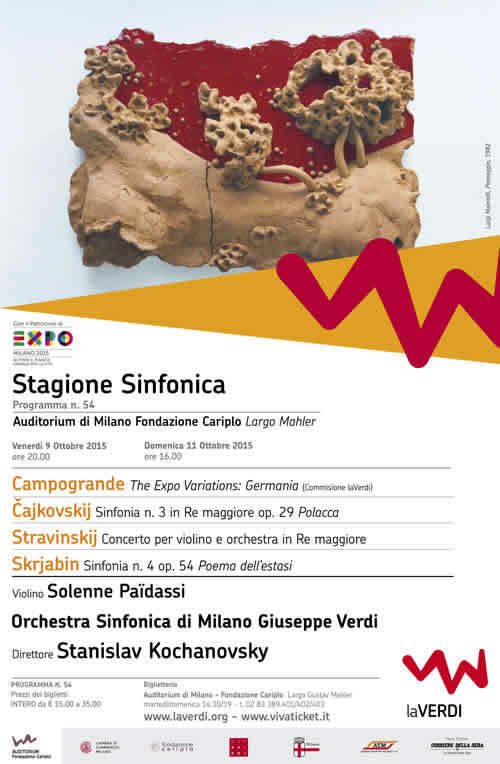 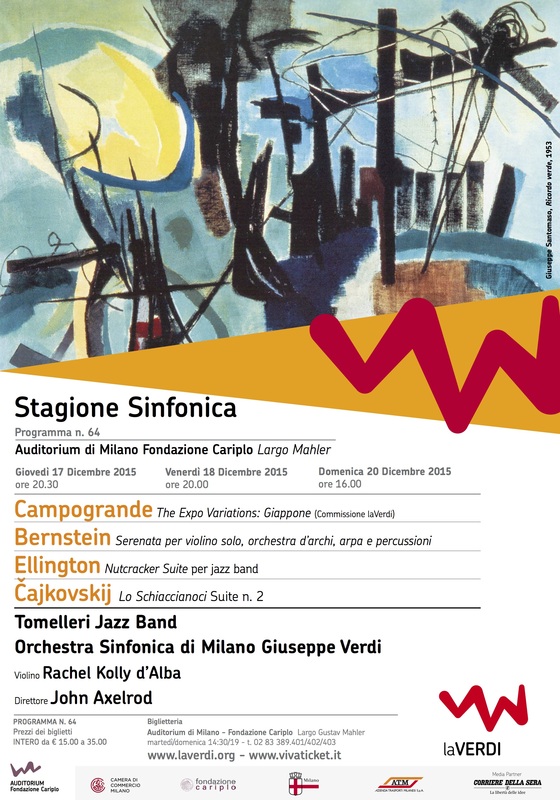 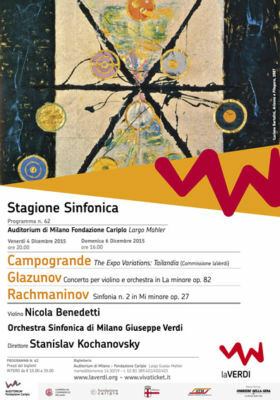 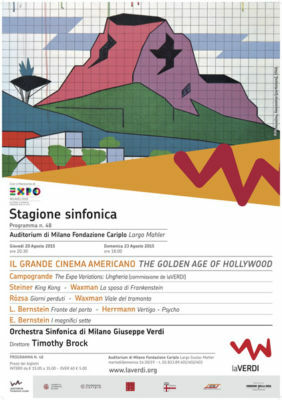 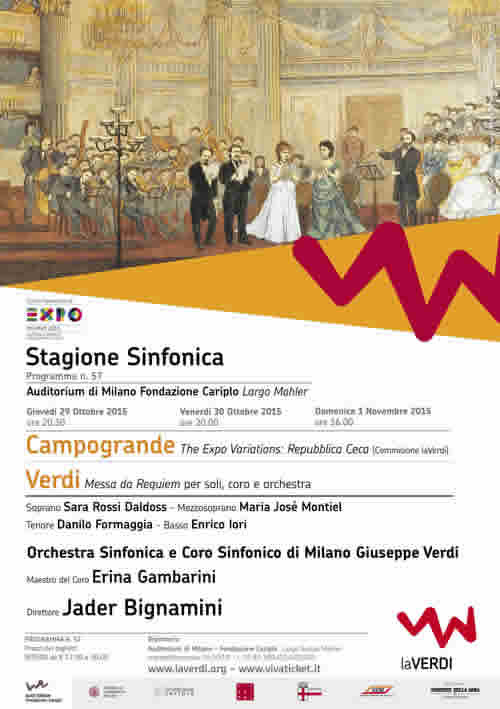 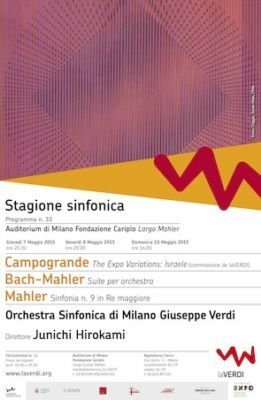 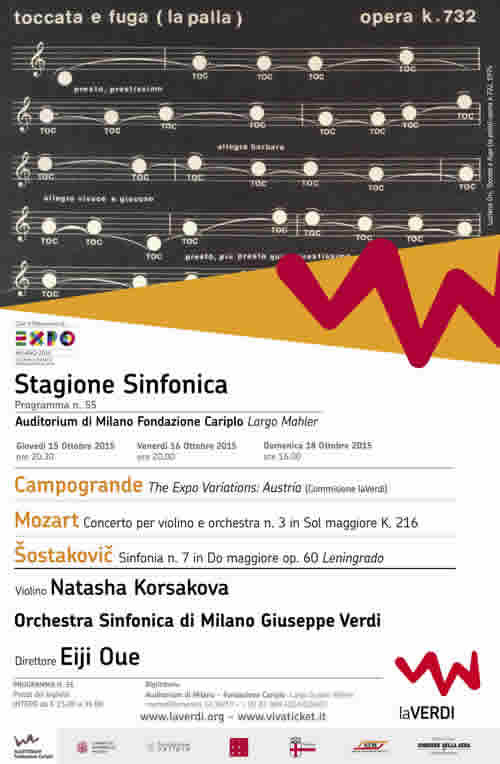 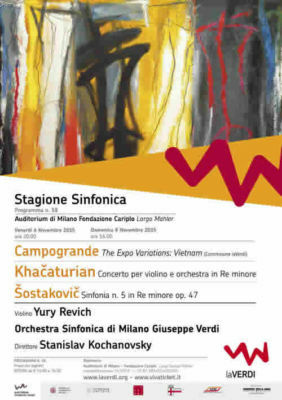 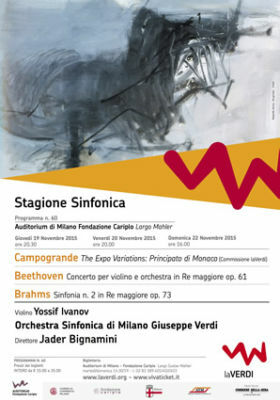 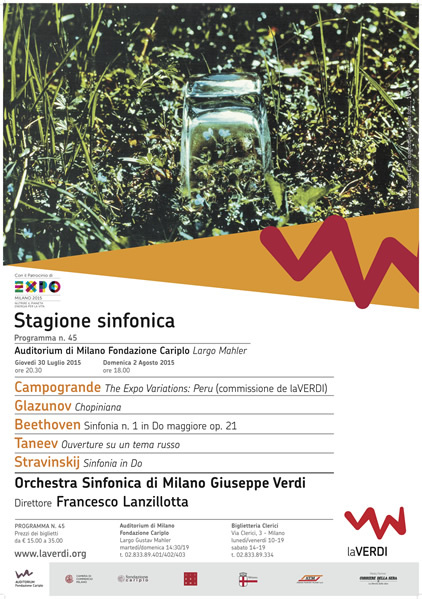 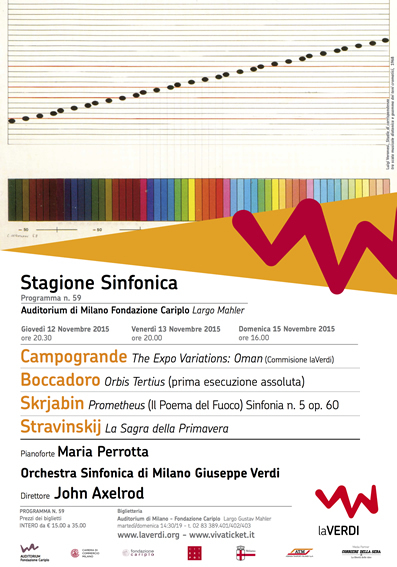 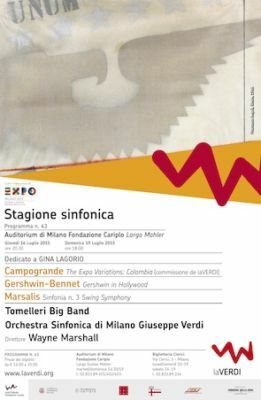 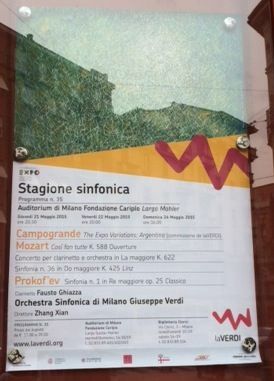 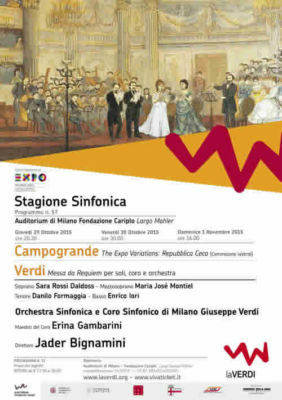 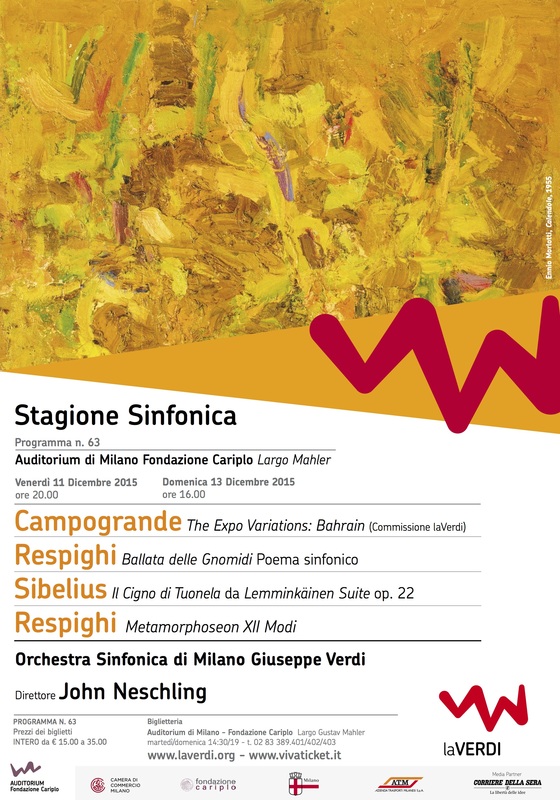 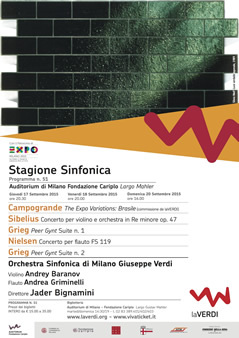 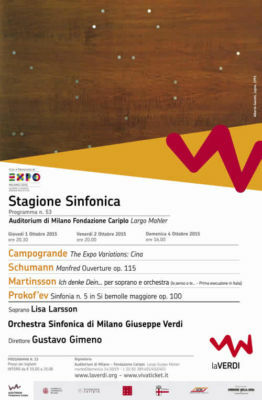 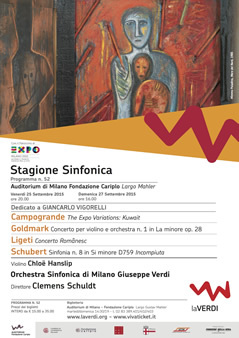 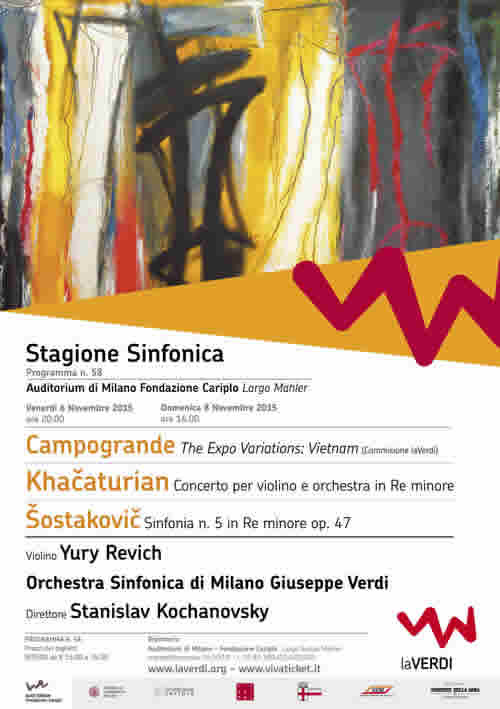 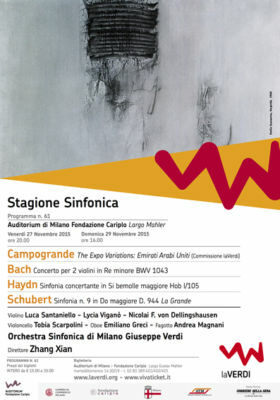 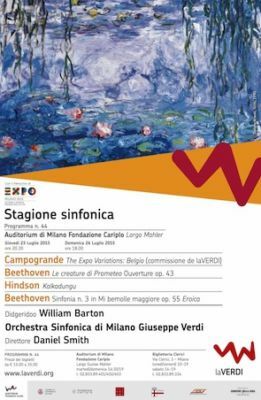 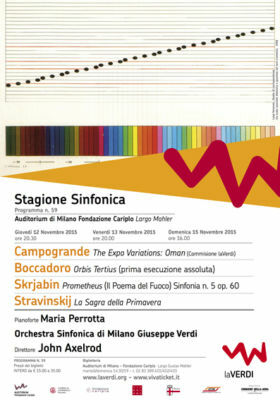 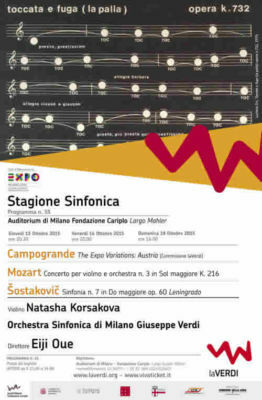 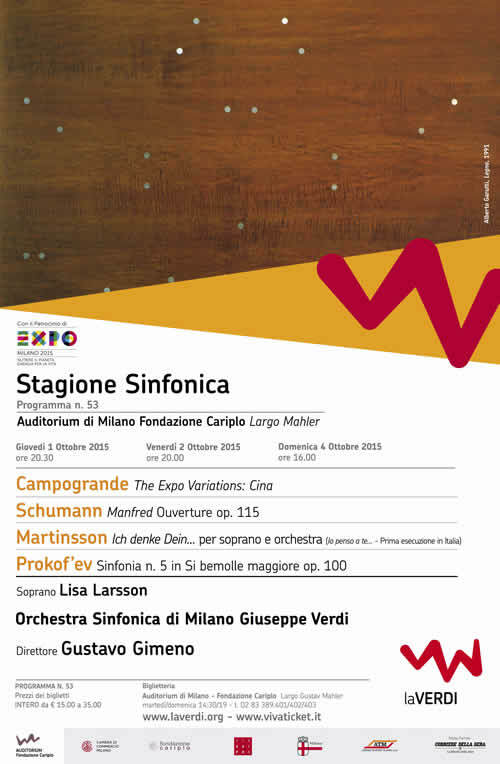 “The Expo Variations” is a wide cycle of symphonic scores that the Orchestra Verdi commissioned to Nicola Campogrande for the Milan Expo 2015. 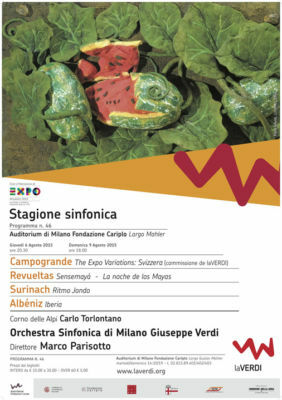 A constant theme will be variated 24 times with elements coming from 24 national anthems used to “feed” it. 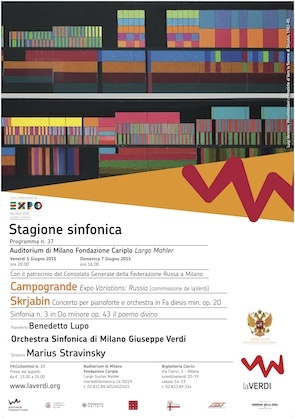 That’s why the scores are in every concert dedicated to different countries taking part to Expo: “The Expo Variations: Israel”, “The Expo Variations: Argentina”, “The Expo Variations: Russia” and so on. As Nicola Campogrande explained, «My 24 scores are connected with the topic of the food, with specific referencies to the most recent and fascinating discoveries of the nutrigenomics. The development of the musical ideas is indeed linked to the biologic mechanism of nutrients absorbtion, and specially inspired to the new knowledges on how the substances contained into the food are able to interact with our gene pool, up to modify their cellular responses. 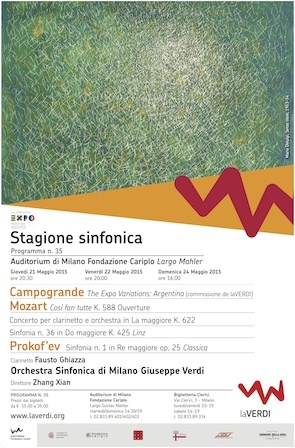 “The Expo Variations” accompanied the Verdi Orchestra’s season all the Expo2015 long , played as Ouverture of every concert. 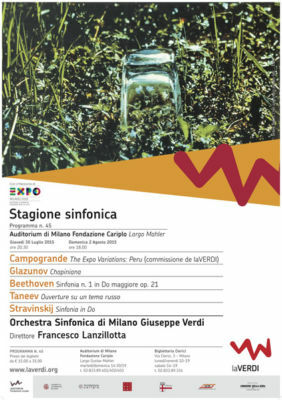 The schedule foreseens the play of each Variation as close as possible to the national day of the title country.